Next time you’re feeling stressed, consider going in for the prairie vole treatment: licking and grooming. That, according to a study published in January in the journal Science is how these small, furry rodents comfort each other after a bad day. The research indicates that empathy-driven behaviors are more widespread in the animal kingdom than previously assumed. Young and his colleagues, including lead author and graduate student James Burkett, chose prairie voles for the study because the animals display other unique social behaviors, like forming monogamous partnerships and living as a family. This led the researchers to guess that if empathy behaviors were to be found anywhere among rodents, they’d be found among prairie voles. “We thought if these guys are really monogamous, if they live together, you’d think they should display a behavior to console a partner if the partner is stressed,” Young says. To test this, the researchers engineered the prairie vole equivalent of a rough morning. They took pairs of prairie voles, separated them, and subjected one of the voles to light electrical shocks to the feet and loud noises. Then they reunited the prairie voles and observed their behavior. They found that unstressed voles licked and groomed their troubled cage mates in an apparent effort to provide comfort. 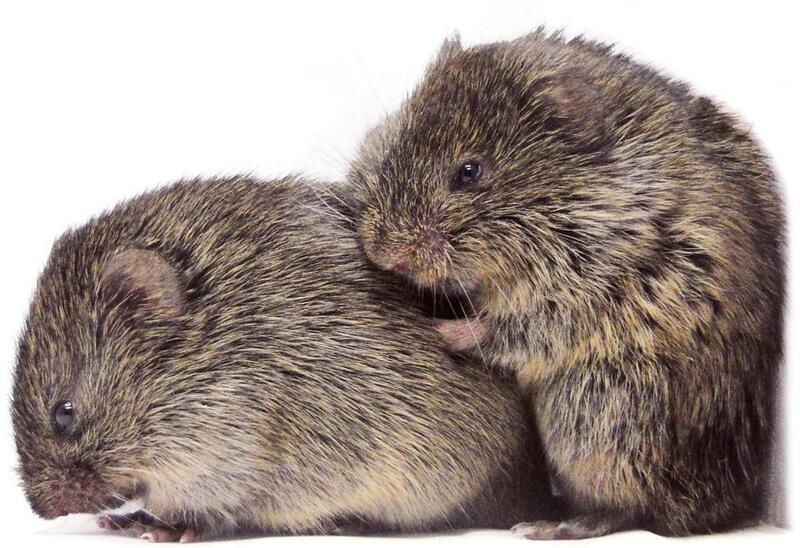 The prarie voles only displayed those behaviors when reunited with a stressed partner (in some rounds of the experiment, voles were separated and neither was stressed). What’s more, the researchers found that the unstressed voles displayed spikes in stress hormones to match the stress hormone levels of their partners — suggesting a biological mechanism by which empathic feeling might take hold. In addition to being endearing, these consoling behaviors make sense from an evolutionary standpoint. Stress is toxic and can reverberate through close-knit relationships. It makes sense that a vole might be evolutionarily motivated to lower the stress of its offspring’s mother. A more surprising finding is that voles didn’t need to even be related to console each other. While two voles that were complete strangers did not display consoling behavior toward each other, two unrelated voles who’d shared a cage for a few weeks did. “It has a positive effect on the [stressed] animal, but it’s hard to see what’s in it for the animal that’s doing it,” says Mogil. Which means when you see your neighbor come home from a tough day of work, you can either ask yourself, “What’s in it for me?” or you can do as the prairie voles do and pour the guy a drink.